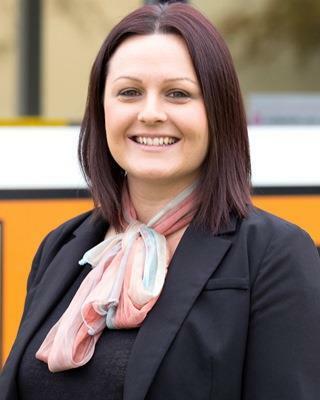 Jennine was born in Albury and is new to the real estate industry having joined Georgette Nehme Real Estate in January 2016.In 2007, after working for a large local accountancy firm as an administration assistant, Jennine moved to Perth WA where she spent 7 years working as an administrator in the oil and gas/engineering sector for a large international company. Jennine recently returned to the Albury/Wodonga region to be closer to her family. Outside of work Jennine is a competitive netballer and plays for the Howlong Spiders Netball club. She also enjoys playing tennis and spending time with friends and family.Having been raised in the Albury/Wodonga region, Jennine is a true local who knows the area very well and is looking forward to a new and exciting future in the real estate industry. Jennine offers our first point of contact at Georgette Nehme Real Estate and welcomes clients, customers and visitors with a happy and charming disposition. Jennine also provides sales support for Georgette and assists Kellie as a property management representative.